It’s been 7 years since my last new computer, and so I decided it was time to finally bite the bullet and not only upgrade, but build a new computer myself. The last two of my computers were pre-built PCs, bought mainly because in both cases I didn’t have the time to invest in selecting parts and building my own machine. But this time I had the time to spare, so I started picking up parts bit by bit until I finally had everything I needed. I’d also be re-using the same video card (an NVIDIA GForce GTX 750) from my old computer, along with an extra USB 3.0 expansion card (I have a lot of USB devices), as well as my old SATA SSD and the 1 TB & 3 TB hard drives. The main goal of this new PC was to build something that would both last me a long time and also vastly improve performance in the one place I really needed it – disk speed. My old PC was actually holding up quite well for its age – especially since I had an SSD for the boot drive – but my old PC’s motherboard only supported the older, slower SATA interface, which prevented me from taking full advantage of that SSD. The new PC would have one of those new SSDs that used both the M.2 connector and the PCI Express (PCIe) interface, which should allow me to take full advantage of the speed of a modern SSD. This, combined with the faster RAM (double the amount my old PC could handle) and the slightly faster CPU, would give me a machine with impressive performance for everything I needed it to do. Additionally, I should be able to upgrade this computer to keep it going for many years to come. Now, keep in mind it’s been something like 15 years since I last put a computer together myself – I’m a little out of practice. But then again, there’s nothing fundamentally difficult about building a computer from parts, so I wasn’t too worried. Probably the hardest part was figuring out how to mount the absolutely massive CPU cooler I’d bought – it used a fairly complex bracket mounting that I’d never seen before (remember again how long it’s been since I’ve done anything like this). But after staring at the directions for a bit it finally “clicked” and I got it attached without much fuss. The rest of the computer was pretty much just plugging things together and trying to keep all the wires neat & tidy. But the moment of truth was when I finally switched it on for the first time – and it booted! After that, I installed Windows 10 and all my programs (and boy howdy was it a long list of things to reinstall – I use a lot of programs on a day-to day basis since this is both my work and personal computer) and transferred my settings over with a program meant for that purpose. Since I was re-using my existing drives, I didn’t really need to move much in the way of files – I even re-mounted the drive volumes to the same drive letters as I had on my old computer, so all the paths and shortcuts I’d set up would work just the same as before. Once my programs and settings were installed, I could finally start to get a feel for the new computer I’d built – and I was immediately impressed with how fast it was! Even with all the programs that run at startup, it booted (POST to desktop) in about 14 seconds, which was much faster than my old machine. Additionally, all my programs now opened almost immediately and everything was just faster and smoother. Adobe Lightroom – which was one of the programs that lagged quite a bit on my old machine – now opens very quickly and the complex UI renders on screen without any delay. I can switch between photos without waiting for the screen to draw and all my edits and adjustments are applied quickly and smoothly. Another thing that saw a big gain for me on this new machine is my virtual machines – I run a number of VMs for compatibility testing and so forth, but using them was often a bit of a pain because they were so slow. Now though, they run much better, and once I’m satisfied that I don’t need anything from my old SSD, I’ll wipe it and move my virtual machines to that drive for even more speed (disk speed is a huge factor in virtual machine performance). Aside from the usual new PC headaches (mainly of the “now I have to put everything back the way I like it” type), the new computer has been a rousing success – I’m exceptionally pleased with it. It runs fast, and it also runs quite cool – at idle the CPU temperature is not much above room temperature. The new motherboard has a ton of high-speed USB 3.0 ports, which makes writing to my external backup drive go much faster, as well as downloading RAW photo files from my camera’s memory card. All in all, I’m very happy with how my new PC build has gone, and I think I’ll be happy with it for just as many years as (if not more than) the last one! I’d been playing around with the Windows 10 Preview on my virtual machine and I liked what I was seeing, so as soon as the “reserve your copy of Windows 10” thing popped up on my computer I filled in my name so I would be able to upgrade when it was ready. Despite this fact, it’s been over a month now and my main computer still hasn’t been notified that the upgrade is ready (even though everything is downloaded and seems ready to go). My laptop was in the same position, but I got tired of waiting – so I tweaked a single registry setting to force my laptop to upgrade immediately. The upgrade started without a hitch and about a half-hour later, it was done. Other than re-arranging some icons on the Start menu and doing some slight preference tweaking, it was ready to use as soon as it was done and there have been no problems with it so far – everything that worked before still works just the same after. So, now that I’ve finally got Windows 10 running on real hardware, what do I think of it? That said, there are a fair number of small things that have been improved and when you add them all up, it does come out to a pretty nice version of Windows – and definitely one I’d recommend over Windows 8 or 8.1. With that in mind, let’s go over some of the most noticeable changes and improvements! Yeah, yeah, it’s nice to have the Start menu back, but honestly did we really need it back? I’m not so sure. 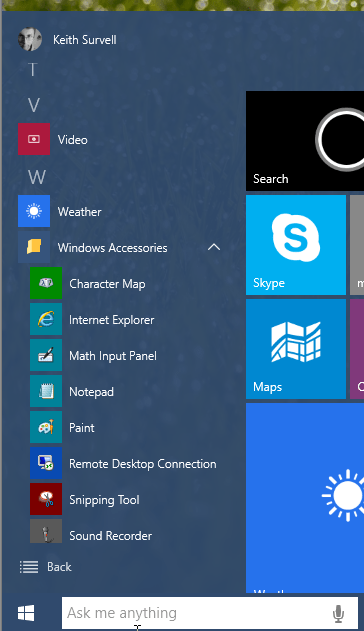 The Start menu is back… but will anyone really care? I know I’m going to get reamed for saying this, but I thought the Windows 8.1 Start screen was just fine. Yeah, it took up the whole screen but it was simple and elegant – all your icons in a nice, even grid. Power and logout options at the top and all your other apps easily searchable or you can click the little arrow at the bottom. You could give the Start screen a separate background, or let it be transparent to your desktop (which is what I always preferred). 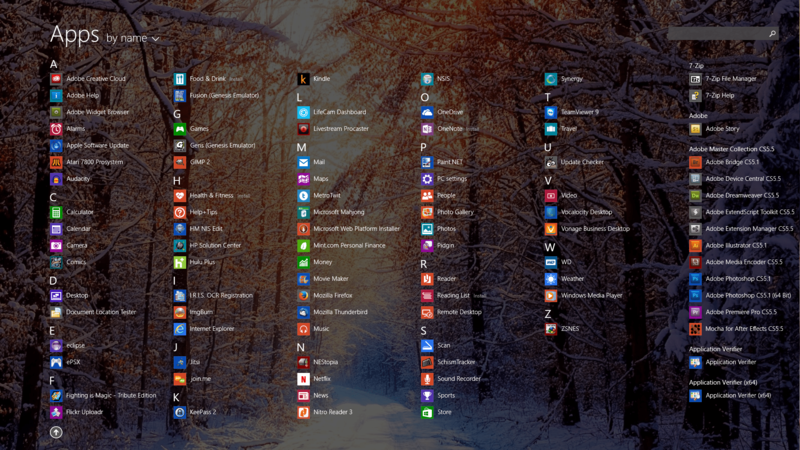 Windows 10 sort-of brings back the old Start menu… kind of. It still has icons as tiles (and for some reason all tiles now all have the same background color, instead of being based on the icon color as they were in 8.1), but there’s sort of a side-section that kinda/sorta functions like the old classic Start menu. But I don’t really see the point – the icons here are smaller, making them harder to click with the mouse, and most people only use a few programs regularly so why have the full list taking up space when you don’t need it? Still, I don’t hate the “what’s old is new again” start menu, and it does have some nice touches. I like being able to customize what folder shortcuts are on it, and it’s nice to be able to arrange the tiles for program icons. Oh, but one thing I do not care for is that the Start menu and start screen now scroll vertically instead of horizontally. With most monitors and screens being wider than they are tall, why would you do this?? The horizontal scrolling of the Start screen in Windows 8 and 8.1 was one thing that actually made a lot of sense. Changing it back to vertical scrolling does not make sense, and sadly there is no way to change it back through options. Not the biggest deal in the world, but still, I really wonder why they made this particular change. Windows 10 is meant to be used on tablets and it seems like having a “digital assistant” thingy is a mandatory requirement these days, but on a desktop the new Cortana thing is just… meh. Maybe if you use the built-in Windows calendar and mail and whatnot it’d be more useful, since it can look up and search your appointments and so forth, but if you don’t use those built-in apps, it’s basically just a glorified Bing search with speech recognition. Also, I don’t like how much space the Search box takes up on the taskbar – it’s huge! Fortunately you can shrink it to an icon (or remove it entirely). It’s been possible to do multiple “virtual” desktops for years – I remember using them back in Windows 2000 – but it’s nice to finally see them available and supported natively in Windows. However, I do really think that most people will never use this feature. Instead, it’ll be used mainly by the more techy types. Still, it’s nice to have and I’m glad they (finally!) added it. Double the desktop, double the fun! It is good to see Windows finally get a unified notification system but holy cow has this been a long time coming! Now we just need to wait for more applications to take advantage of it, instead of using pop-up boxes/balloon tips/etc. for their notifications. I also like the new “action center” bar, which I tend to think of as an extension of notifications (since that’s where they show up after). It’s a very nice touch and a long-overdue addition to Windows (especially for those using it on mobile devices – tablets, laptops, etc.). The Control Panel was long overdue for an overhaul, being an inconsistent mish-mash of Windows 7-style and Windows 8-style. Fortunately, Windows 10 goes a long way towards dragging it into the future. The main screen of the Control Panel is simple & clean, and most sub-screens are also done up in the same Windows 10 “flat” style, with lots of slider-type switches (instead of checkboxes) for options. Not being able to resize certain Windows 8-style windows used to drive me absolutely bonkers. It was a very jarring break from the standard Windows UI experience, so I’m very glad they fixed this and allowed all windows (including the “it’s-Windows-style-not-Metro-style” ones) to be resized (like they should’ve been from the beginning). 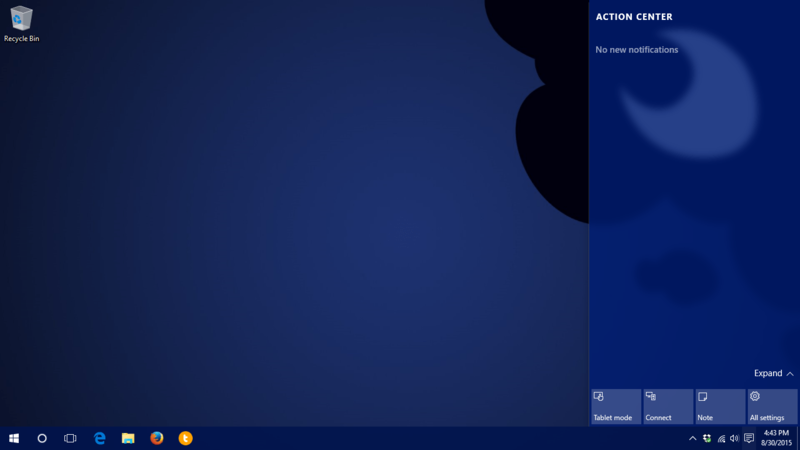 I’m still not a fan of the overall “flat/tile” visual style that started in Windows 8, but at least it is improving. Someone over at Microsoft finally realized that when you make everything flat & monochromatic you need to add other visual cues to help people know what can be clicked on. Too many things in Windows 8 and 8.1 were just completely undiscoverable unless you actually tried clicking on them. In Windows 10 at least things have outlines and hover effects to clue you in to the fact that they can be interacted with. 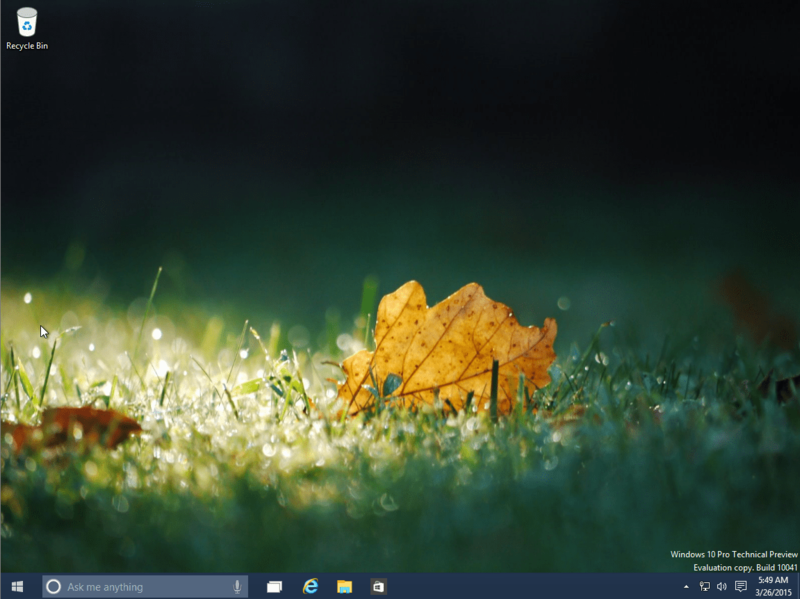 Windows 10 – like Windows 8, but more so? Overall, Windows 10 is a solid upgrade and if you were holding out because you didn’t like Windows 8 or 8.1, I’d say give it a go. And if you have Windows 8.1, upgrading is a no-brainer – at the worst, you probably won’t even notice much of a change, and at the best you’ll appreciate some of the little changes & improvements that have been made. I decided to finally take a look at the technical preview for Windows 10 and give my thoughts on it so far. First off, it was surprisingly easy to get a hold of – unlike past Windows versions, you didn’t need to sign up for any special developer program or anything. The initial installation experience continues to improve – it was smooth and painless, much like how it was for Windows 8 and 8.1. There was even an option right on the download page to upgrade my current computer – which is pretty neat, though I opted instead to get the ISO file and install it in a virtual machine. Much of the UI and icons are even more stark & flat than before, but then again this is just a preview – it’s expected to be rough around the edges and have placeholder graphics. Ah yes, the elephant in the room: the Start menu. Yes, it’s back to being a menu (sort of). It has a list of programs (as small icons) along the left, and the larger tile icons over to the right – a configuration which somehow reminds me of/seems similar to the application menu in some Linux distributions. There’s a clear link for “All Apps” (not unlike the “All Programs” button in previous Windows versions) which – finally, thankfully – shows and retains folder order of items on your start menu. Though this won’t be a big deal for most people, for me it’s a big improvement. For most people there’s enough space on the Start menu for their frequently used programs – so they’ll hardly ever have to go into “All Apps.” But for people like me, it’s very nice to be able to scroll through applications alphabetically and that have the ability for some sort of folder/hierarchy to find that one app that you need (but don’t use frequently enough to have it on the main part of the Start menu). This is MUCH better than the “All Apps” screen in Windows 8.1 which was just a massive grid of icons that was very difficult to scan through visually. The annoying “All Apps” screen in Windows 8.1. 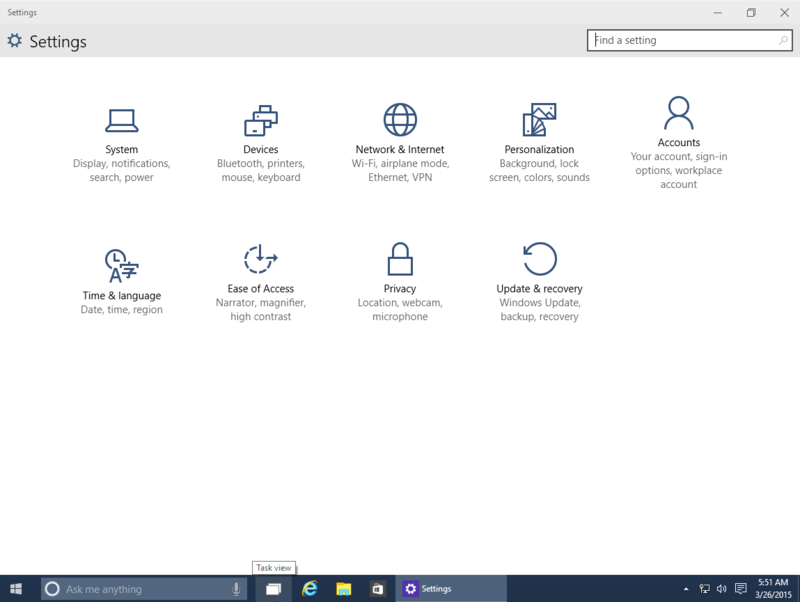 The “All Apps” menu in Windows 10 is SO much better! 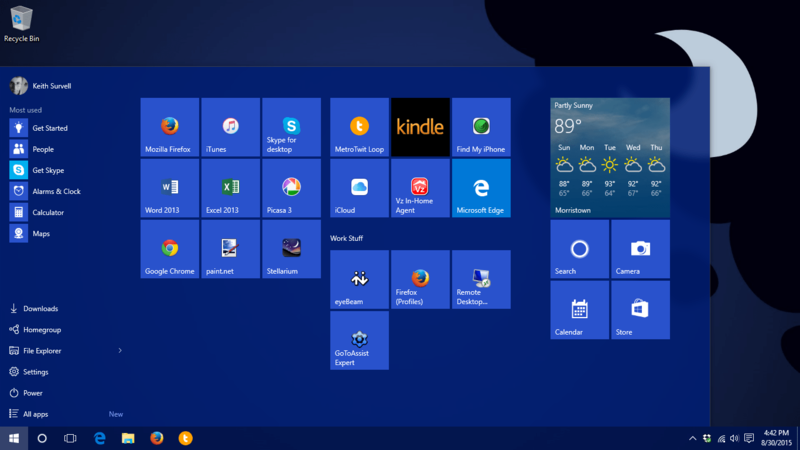 The Start menu can also be expanded to fill the entire screen, like it did in Windows 8 and 8.1 – this gives more room for the larger tile icons, as well as for the “most used” icons on the left. 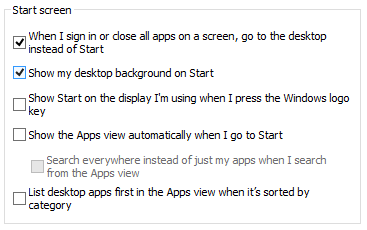 Handy for people who use a lot of different programs and apps, it’s nice to have the option to choose how big you want your Start menu (or Start screen) to be. Honestly, this is how it should have been from the beginning. The Start menu is also partially transparent, like the Windows 8.1 Start menu is, which again helps make it feel a bit more cohesive with the rest of the UI. 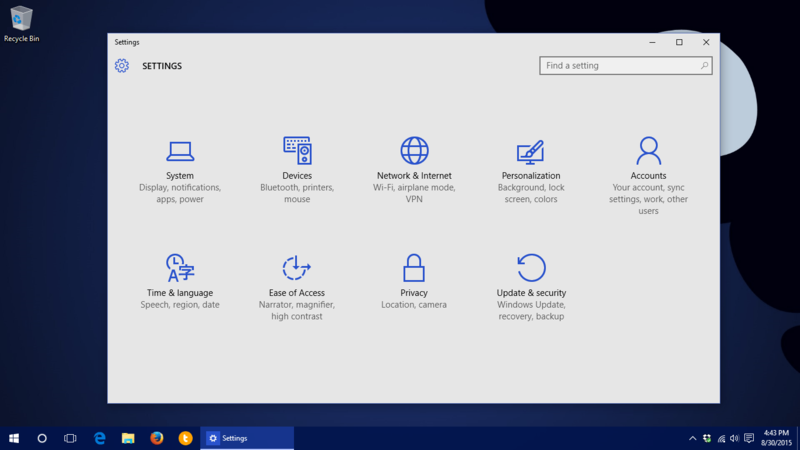 It’s nice to see that the previously separated “PC Settings,” “Settings,” and “Control Panel” have been combined into a single screen, accessible from the Start menu, called just “Settings.” The icons for it currently are a bit stark (but again, this is just a preview release) but it’s nice to see that everything is in one place. The way “PC Settings” and the Control Panel were separate in Windows 8 and 8.1 was just weird – very akward, and it felt like there were 2 different OSes that had been jammed together. 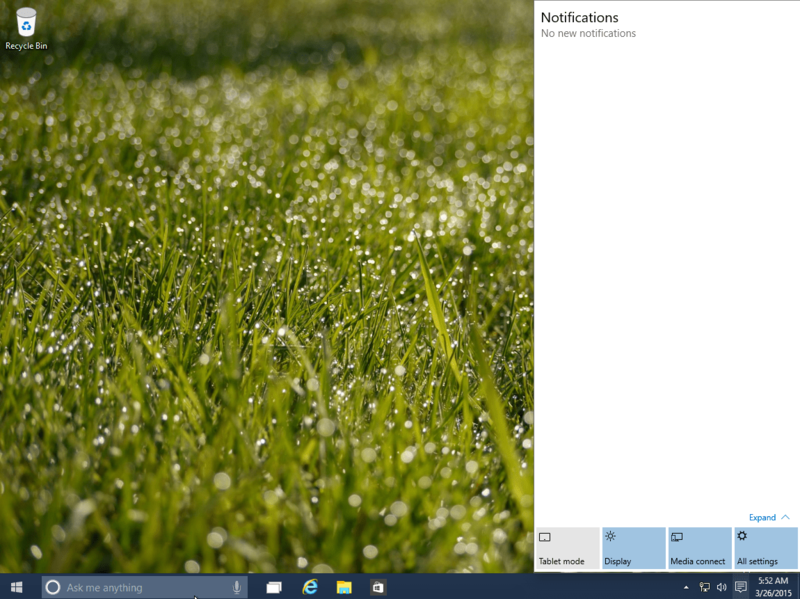 Now in Windows 10 it feels more like a single OS with a consistent user interface. The new notifications system is a welcome change – it’s nice to see Windows finally catch up with virtually every other operating system. But until more programs support it, I can’t say much about it. 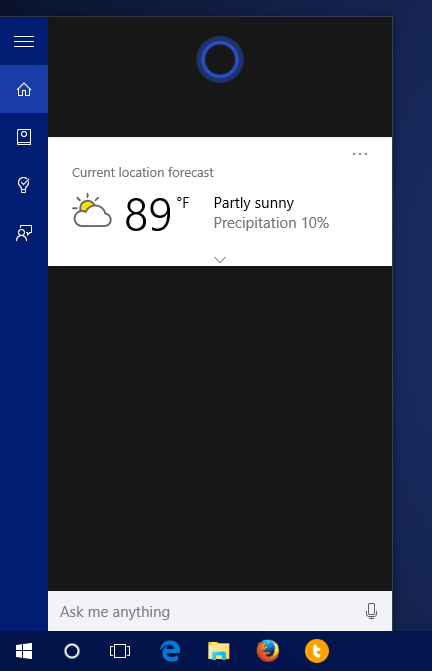 Cortana is, of course, kind of neat – though I couldn’t get sound working in the virtual machine I used to try out Windows 10, so I couldn’t give it a full test. But really, with Siri having been out for as long as it has, do we really need to compare? It will work more or less just like that. It’s also nice to see that the “charms bar” has finally gone away – I still don’t know how anyone thought that was a good user interface idea. Overall, Windows 10 is a welcome improvement on Windows 8.1 with mainly incremental changes, and a few bigger features (mainly for laptop/tablet users). Like Windows 8.1 before it, it isn’t terribly exciting, but it is demonstrably better. Even as an unfinished technical preview Windows 10 runs slightly faster and smoother in my virtual machine environment than Windows 8.1 does. Of course, Microsoft is deliberately trying to push out new Windows releases more frequently, which means each release by itself will be less exciting than Windows releases in the past used to be – simply because there’s less time to make lots of significant changes. 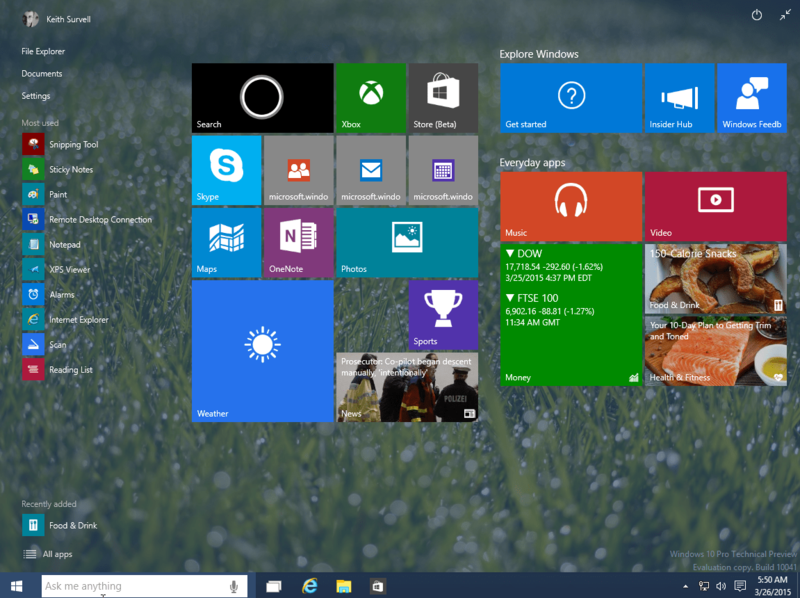 Still, Windows 10 looks to be a promising OS and a welcome improvement. It looks to be even more polished for desktops, and it should be even more useful for laptops and tablets. Once it is officially released, I’d say it’ll definitely be worth upgrading for any Windows user. 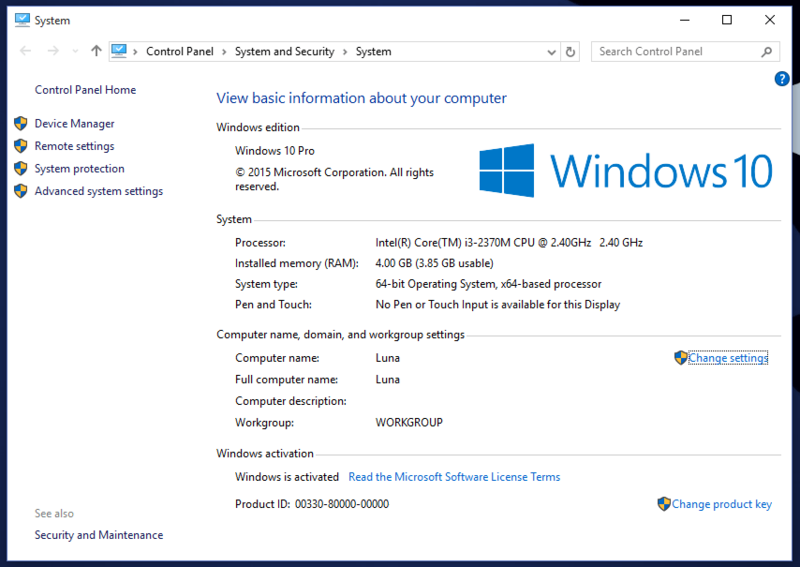 Windows 8.1 is Here – Is it any Better? Windows 8.1 was just released as a free update for anyone with Windows 8 - but the real question is: is it any good? Windows 8.1 was released yesterday, and it’s available as a free update for anyone who already has Windows 8. So, naturally, as soon as it became available, I took the plunge and installed it. Windows 8.1 is kind of a strange mix of “service pack” and “new operating system,” but the really big question is – is it any better than Windows 8 was? Does it improve on the shortcomings I pointed out in my previous reviews? Getting the update was actually a bit confusing. It’s not a Windows update, and doesn’t appear as part of your standard updates – instead, you have to launch the “Store” app and hope that the offer to upgrade appears (I’m not sure what triggers it, as it didn’t appear at first for me). The installation is fairly straightforward, although it does take a while – even longer than installing a Windows Service Pack used to take. Start Is Back, All Right! The Start button is back – as it should have been all along. While I understand the reasons behind using the corners as “hot spots” for both mouse and touch gestures, when introducing a new user interface element like this, you need to give some sort of visual cue to… um… cue users into the fact that there is something there that can be interacted with. 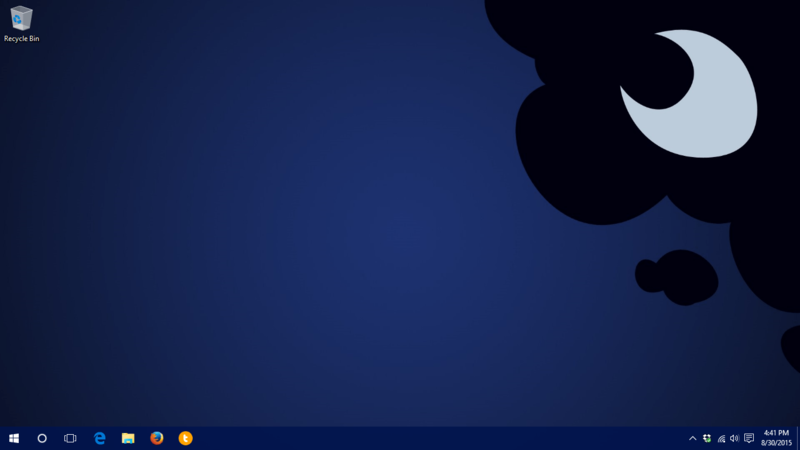 The ability to have your desktop show through the Start screen is a very small change, but it goes a long way towards making it feel more “cohesive.” No longer is the Start screen this weird world of squares & rectangles, with no connection to your desktop – instead, it’s just an overlay of icons you can click on, just like the old Start menu was (but bigger). 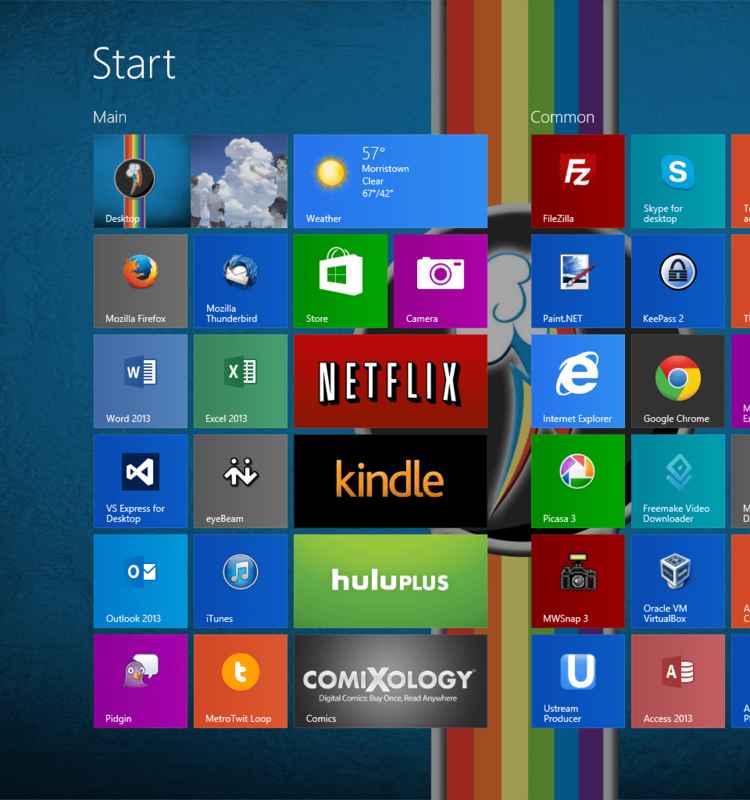 Windows 8.1’s Start screen also now uses different colors for tiles – and not just Metro app tiles, either. All your application tiles now have individual colors, which usually (but not always) match the color of the icon. 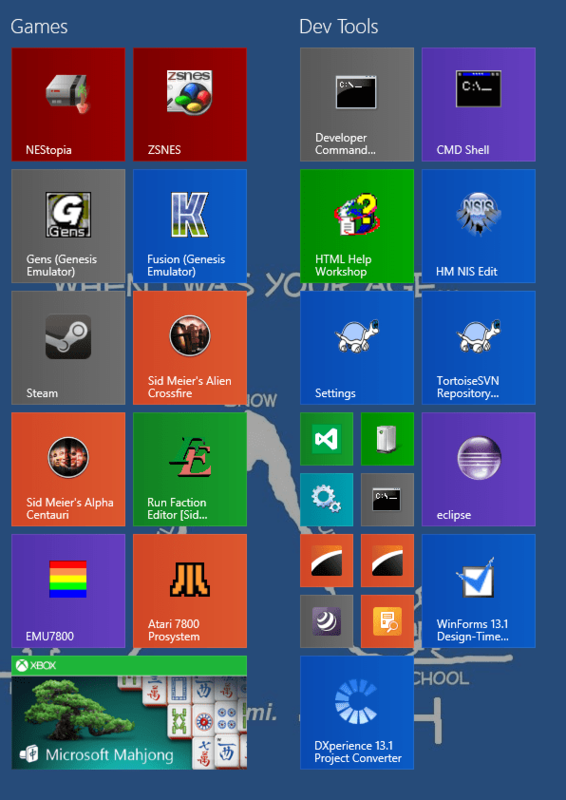 Instead of being mainly a single color for non-Metro apps, your Start menu is now a real rainbow of colors. All these colors certainly make the Start screen a bit more visually distinct, but it also makes it look a bit busy. Still, it’s a nice touch to help identify the program you’re looking for at a glance, since the color helps with recognizing an icon before you even read the text. The ability to go to the “All Apps” view by just clicking a single chevron at the bottom of the Start screen is a welcome addition – especially since Windows 8.1 doesn’t automatically dump newly installed program icons on the Start screen like before. Now you can quickly bring up your “All Apps” (the equivalent to “All Programs” in pre-Windows 8 speak) and find your programs (relatively) easily. Windows 8.1 also adds some new sizes for icon tiles – instead of “square” and “rectangle,” you now have “tiny square” and “even bigger rectangle.” Not a big deal, but it’s helpful to keep your Start screen organized if you have lots of icons – though only Metro apps can use the “even bigger” tile sizes. Little icons, big icons, all sizes of icons! One small but nice change in Windows 8.1 is that Metro apps can now be split-screened in any proportion – you’re no longer limited to the 1/3 and 2/3 split from Windows 8. If you have multiple monitors, you can also run Metro apps separately on each one – though I can’t really imagine many people doing this. I never understood why Microsoft chose to make search in Windows 8 segmented – it just made no sense to me at all. Previously, searching from the Start menu searched both your Start menu and all of your indexed locations (by default, your libraries) – which is exactly what it should do. Simple, search once and find what you need, no matter where it might be. 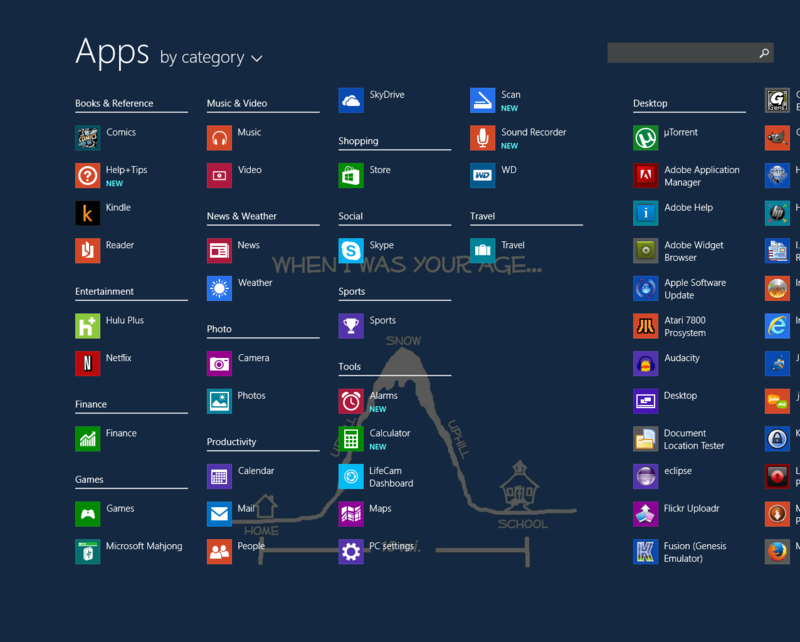 But in Windows 8, you had to choose where you were searching – were you searching apps? Or were you searching settings? Or files? And it got worse when you realized that some things (e.g., system settings) were not under “settings,” but actually “apps,” depending on their specific implementation. It was maddening and just made no sense. On the other hand, Windows 8.1 does by default include integration with Bing for search results – but this is easy enough to turn off if you don’t want to search the Internet every time you try to search your computer. Yep, that’s right – you can now have Windows 8.1 boot directly to the desktop, instead of the Start screen. This option isn’t on by default, but it’s available – and again, something that really should have been there all along. Yep, pretty much. 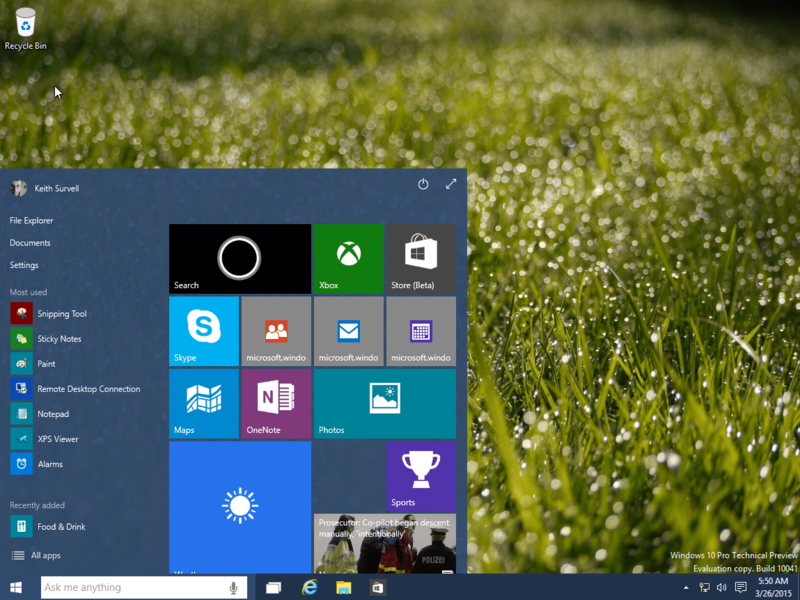 Windows 8.1 brings a number of welcome changes – though some of these are less “changes” and more “putting things back the way they were” – but at the end of the day it’s a very minor update – just as it’s name would suggest. Although the installation itself went very smoothly, there were a few hiccups with my upgrade. I did have to re-install a few programs because they ran as “services” in Windows, and for whatever reason the update had lost or removed the services. I also had to re-install my display driver – Windows defaulted back to the Microsoft provided driver, which works fine, but doesn’t have some features I like and need. I also had to re-install my printer/scanner software, as it lost the ability to “Scan to” my computer (even though it still printed just fine) – although honestly this is probably more the fault of the printer manufacturer’s often finicky software. Windows 8.1 also takes the odd stance of removing links for Libraries from the left-hand navigation pane of Windows Explorer window – though thankfully there is an easy option to bring this back. 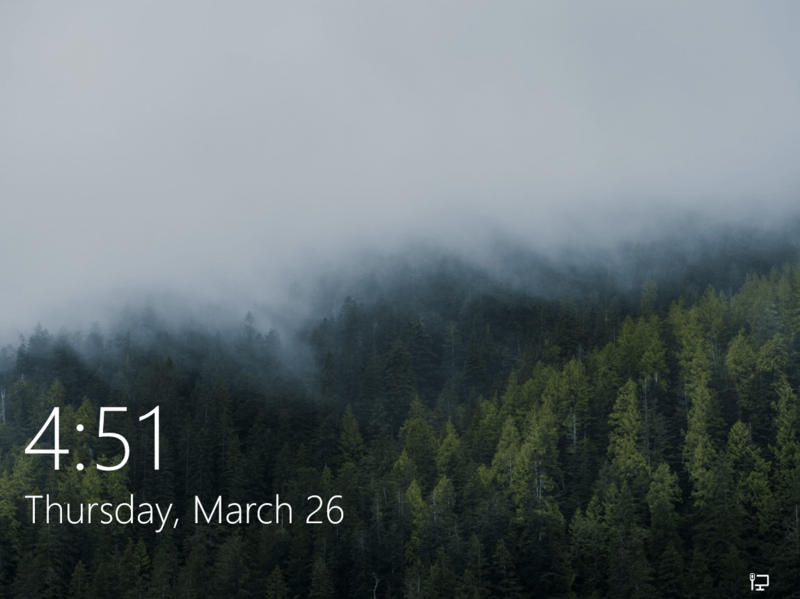 Also, somehow my Windows theme had gotten changed so that the text in title bars and the task bar was black instead of white – and it’s not at all easy to figure out how to change this back. Still, all things considered the problems with this upgrade were fairly minor – none of my devices malfunctioned (and I do have quite a few USB devices hanging off my computer) and all my settings were retained. Having to re-install a few programs, although slightly annoying, was not really that bad. All-in-all, Windows 8.1 is still very “meh,” just like Windows 8 was – just slightly less so. Not exactly something I’d get excited about, but it is an improvement – albeit a small one. The “Metro” side of things (or whatever Microsoft is calling it now) remains just as useless as before – although to be fair, there are more apps now and the built-in ones have improved a fair bit. For anyone using Windows on a tablet device, I’m sure these will be welcome improvements, but for the majority of people I’d imagine they will continue to be mostly ignored. There are also some other changes I didn’t really go over, but to me they are just so minor as to be irrelevant. If you already have Windows 8, upgrading to Windows 8.1 is almost no-brainer, as most of the changes are definite improvements over Windows 8, despite the few glitches you might encounter along the way. If, on the other hand, you’re upgrading from Windows 7 or purchasing a new computer, I would definitely say that you want Windows 8.1 over Windows 8 – mainly for the Start button and Start screen improvements. Author Keith SurvellPosted on October 18, 2013 October 18, 2013 Categories My Opinion, SoftwareTags microsoft, review, windows, windows 8.12 Comments on Windows 8.1 is Here – Is it any Better?